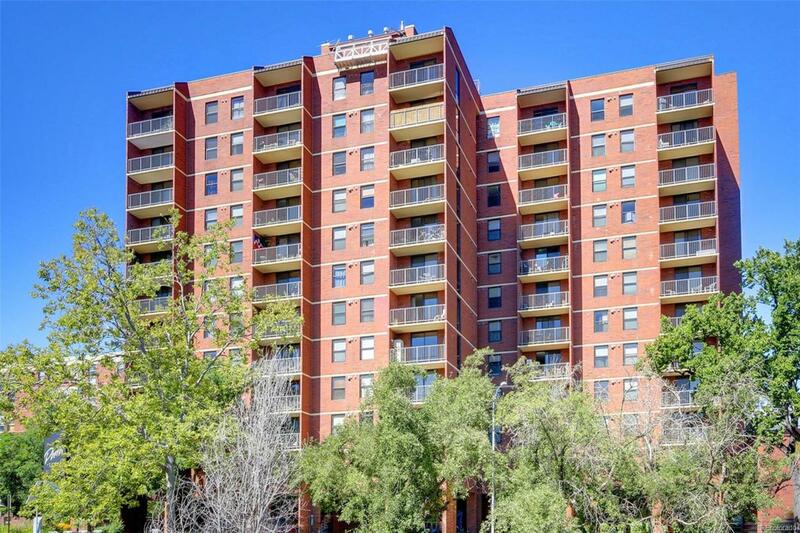 True Downtown Denver living, right on the Cherry Creek where its all happening. Spacious living in this open plan unit. Pour a cocktail and watch the sunset on your west facing balcony. Lots of natural light. Oversized bedroom with tons of space. Walk in closet and 2 extra closets for storage. 1 deeded parking spot in the secure covered garage. Extra deeded storage space #G-7. Excellent location, close to the Convention Center, Civic Center Park, the Library, DCPA, Pepsi Center, Auraria Campus, the Modern Art Museum, the Santa Fe Arts District, coffee shops, restaurants and King Soopers. HOA covers access to unbelievable amenities including an outdoor heated pool, BBQ area, lounge areas, a game room with billiards, an amazing gym with classes, a business/study center, tanning beds, an entertainment area with kitchen and a theater room. What more could you ask for?! Walk out your door, hop on your bike and you are right on the Cherry Creek Trail. Come and see this exceptional unit soon! Offered by Queen City Properties.